VINYL ON VINYL: Sehnsucht by Iyan de Jesus and Anjo Bolarda on August 27 at 8pm! 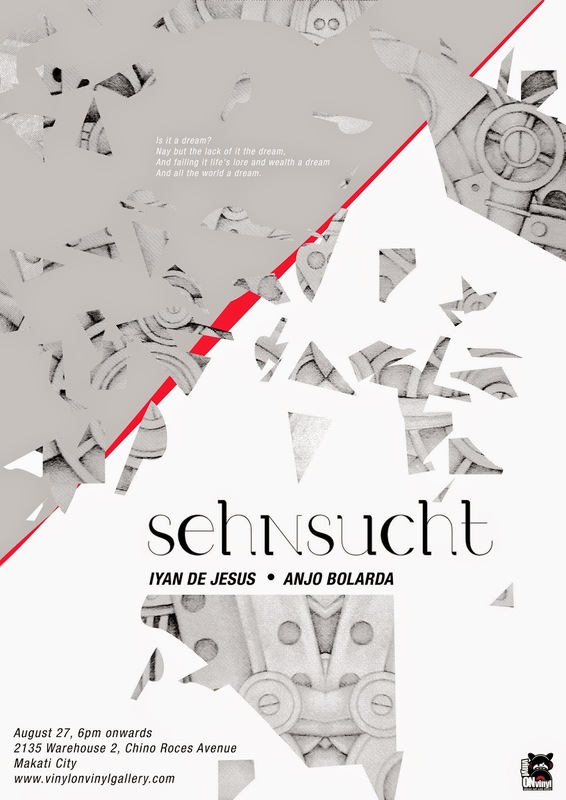 Sehnsucht by Iyan de Jesus and Anjo Bolarda on August 27 at 8pm! Witness utopian and distopian worlds collide in Sehnsucht, a two-man show by Iyan de Jesus and Anjo Bolarda, this August 27 at 8pm in VOV's new nest! Catch you there!